When most people think of custom gift cards, they may be thinking of those purchased at retail businesses or service-based businesses, such as beauty salons or cleaning services. However, custom gift cards to amusement parks, hotels, or vacation destinations can also be a great option for those who want to give an experience-based gift to a loved one or friend. Businesses can take full advantage of offering a plastic gift card to one fun destination in order to improve sales at their own business. 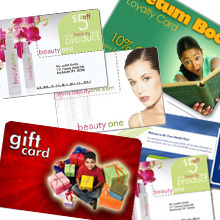 There is some flexibility for a business as to what custom gift card offering they could provide to the recipient. These options could be left up to the amusement park, hotel or other destination. For instance, the custom gift card could be offered for purchasing admission tickets only. Amusement parks may also allow their custom gift cards to be used in amusement park gift shops, food stands, and for other additional purchases in the park that the recipient may want. The more one business offers, the more the other can gain. For instance, a new movie theater may want to offer a gift certificate to a nearby restaurant with any ticket purchase in order to get customers to buy tickets. Having a flexible gift card that can be spent in gift shops or at restaurants and food stands is also a great idea, as the recipient may already have admission tickets or season passes. Most gift card recipients appreciate the flexibility that comes with gift cards, so in most cases, the more options that are available to them, the better. Besides the amusement park gift card itself, it is important for the purchaser to consider other expenses, such as lodging, travel expenses, and food. For instance, a family may not appreciate a gift card to an amusement park that is 400 miles away if they do not have the additional cash flow to travel there. However, if you are a hotel, and offer free admission tickets and discounted lodging, you may have a winning combination. Plastic card printing has really expanded into all businesses in some capacity, and these types of co-op programs not only bring in new customers, but builds wonderful business relationships for years to come.